To me this seemed like a fantastic deal for less than $25 a month and 1.24TB in the cloud is a ton of storage. 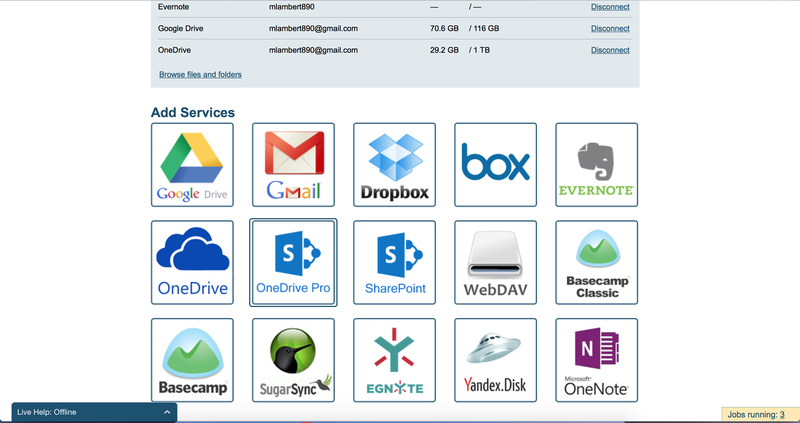 As a result, over the past few months, I have been shifting to a cloud only model for data storage. 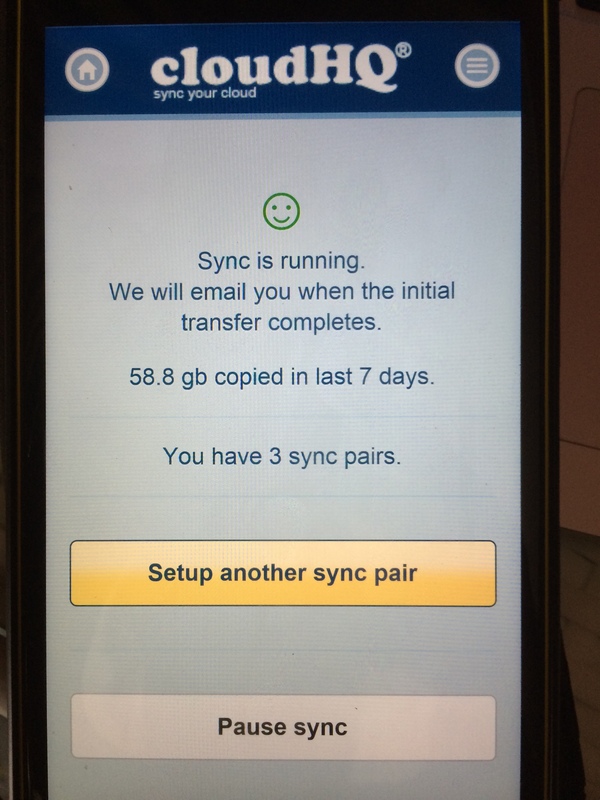 The way I decided to run things was to make DropBox my primary storage service. Despite having by far the worst economics (ironically DropBox has become ridiculously expensive compared to the competition), it has the best client integration experience as a result (IMO) of the service maturity. 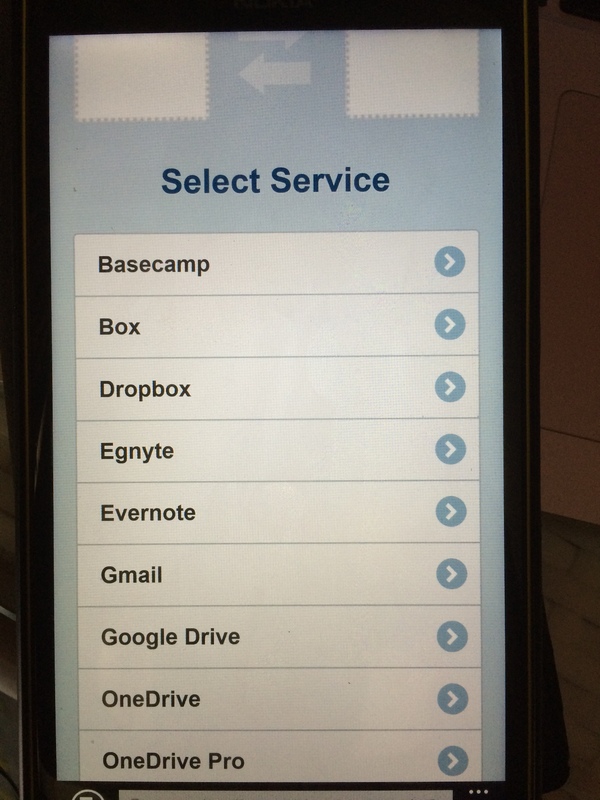 So with DropBox in prime the next challenge was figuring out a plan for the secondary services. At first I tried a model where I would assign use cases to each service. So music in Google only, pictures on OneDrive only, documents across all 3. 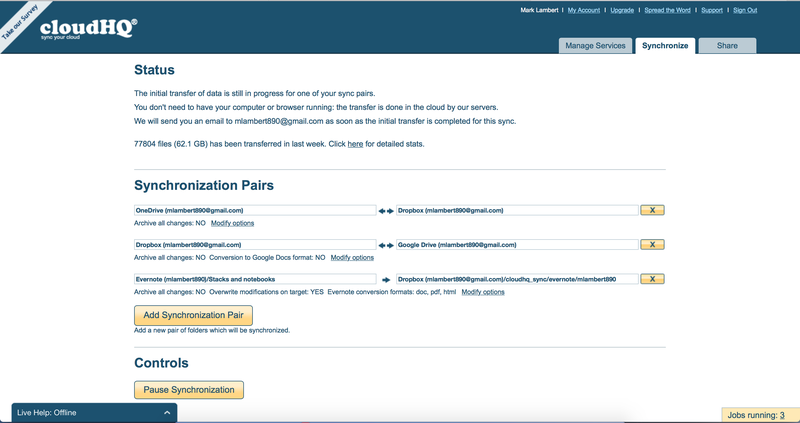 This quickly fell apart as you wind up in a model where you need to selectively sync the secondary services, and you lose redundancy for some key use cases. In analyzing my total usage pattern though, I found that as a high watermark I consume 75GB of space in the cloud (including documents, photos and music). With the current $/GB rates, this data volume can easily fit in all 3 providers. 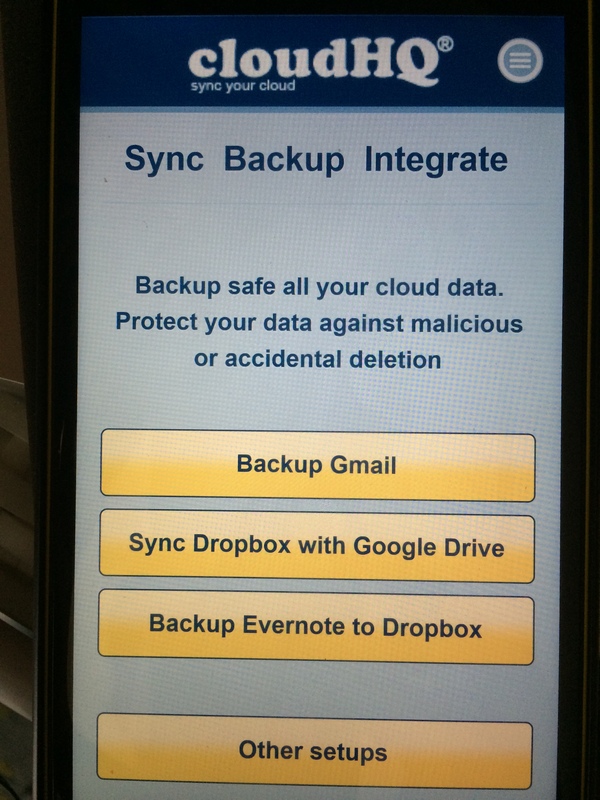 Realizing this I quickly moved to a hub/spoke sync model where I utilize OneDrive and Google Drive for backup/redundancy and DropBox becomes the master. Of course the logistics of this proved very challenging having to utilize a middle man client to funnel the data around. There had to be a better way. Wasn’t this a great idea for a startup? 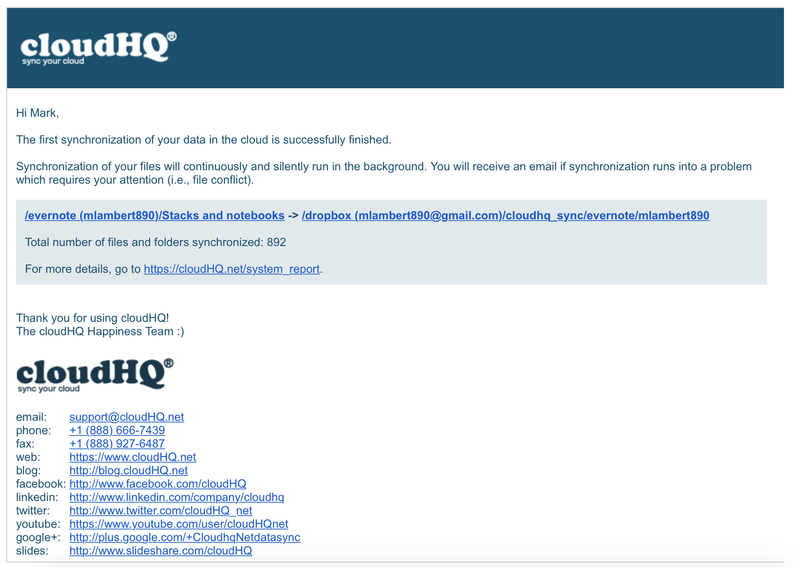 Well… Enter CloudHQ! 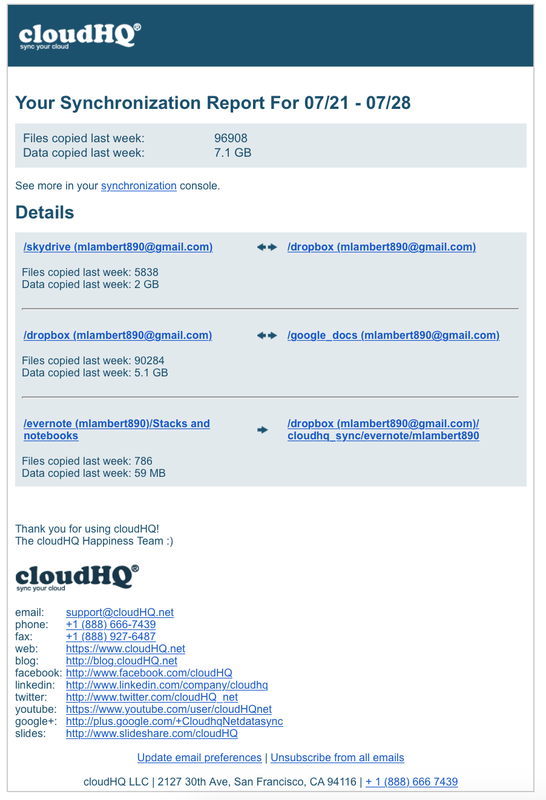 CloudHQ aims to provide a solution of the monumental task of cloud data sync. As a premise it sounds amazing! Just register with these guys, add your services, create some pairings, and let their workflow (and pipes) do the rest. I’ve been tracking these guys for a while and it appears they are delivering. Of course the challenge is that to do meaningful work (more than one pairing) you need to pony up to the commercial level. I held off a while to see how their service would mature. Recently, though, they had a price drop that I feel represents a fantastic deal. I was able to get onboard with the Premium level subscription for $119 by committing to 1 year. $10 a month is just a terrific price for a service like this so hopefully this price will lock-in moving forward. Of course the service does have to work or it’s not such a great price right? Well let’s see how things went! No conflicts occurred and there have been no problems with any of the attached volumes. I have to say I am extremely impressed with CloudHQ so far and pushing 63GB of bits around in a matter of 3 days is a fantastic “time to sync state”. As my experience with the service increases I will continue to post updates, so stay tuned!